Tom Felton wallpaper. Tom Felton as Draco Malfoy wallpaper. HD Wallpaper and background images in the Tom Felton club tagged: tom felton draco malfoy harry potter wallpaper slytherin tom felton ♥ harry potter and the half-blood prince. 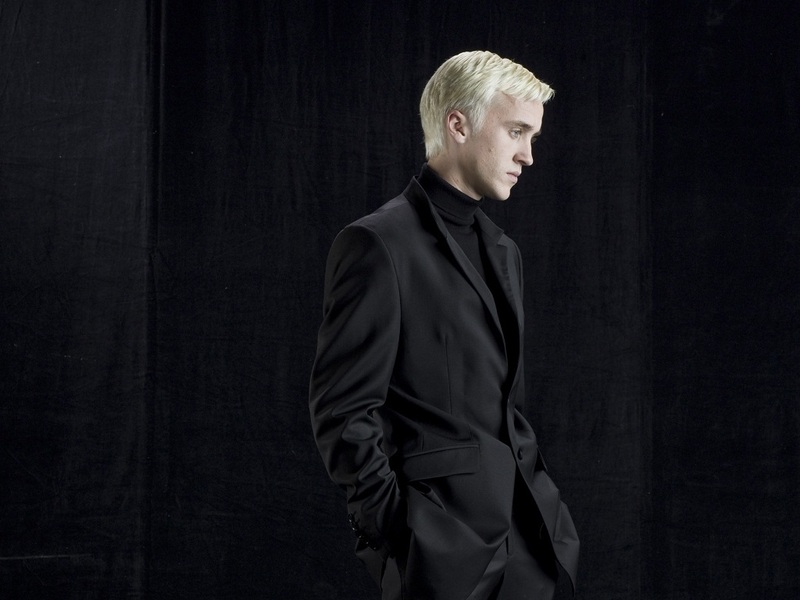 This Tom Felton wallpaper might contain completo, vestito di affari, ben vestito persona, vestito, vestito di pantaloni, tailleur pantalone, pantaloni tuta, tuta, and persona ben vestita.